There are two private beach-front Villas facing a world-class reef. 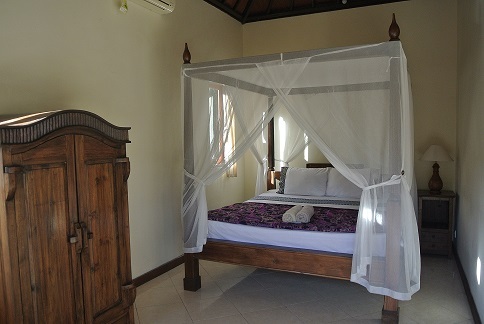 Each Villa is equipped with AC and fan. 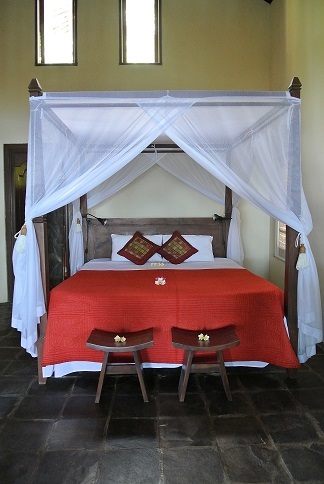 A Villa sleeps up to 5 people and has a spacious room with a king-seize 4-posted bed. 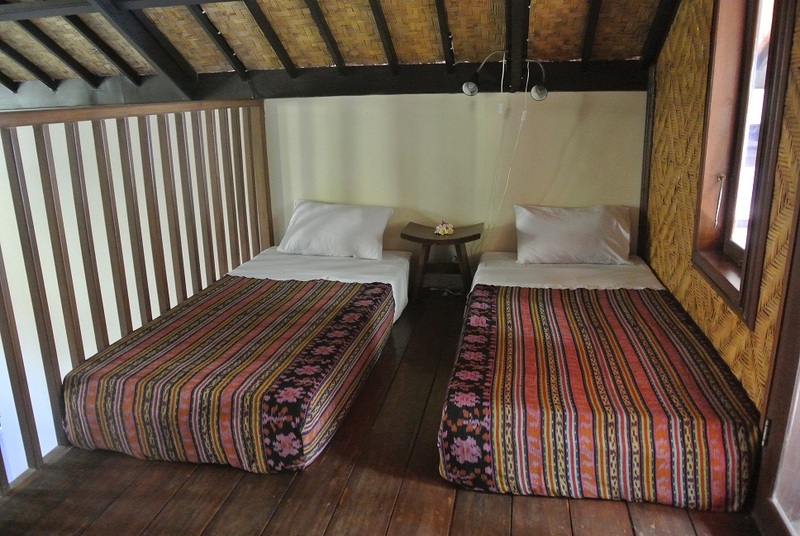 Towering over the main room is a wooden loft holding 2-3 beds. 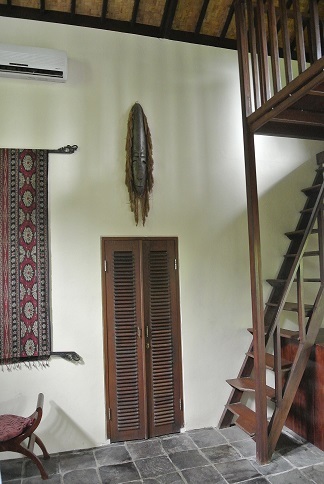 The loft has a balcony overlooking the beach and the ocean. 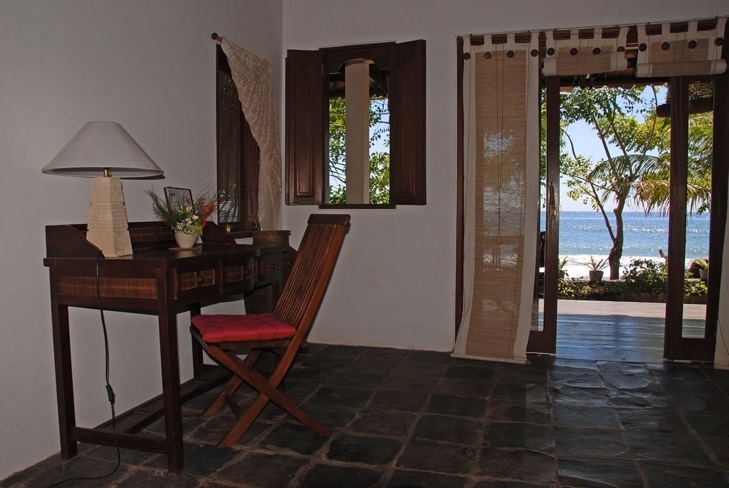 Each villa has a generous wooden veranda facing the ocean. 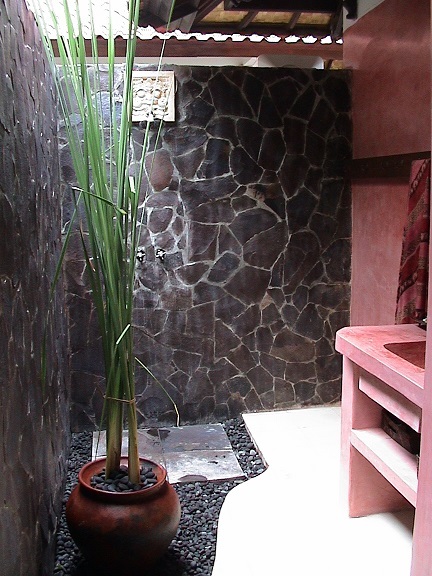 The bath-room is semi-open with a western style WC and hot and cold water produced by sun-panels on the roof. There is a build-in closet which can be locked. 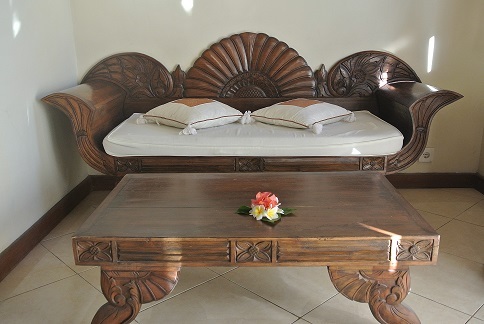 In front of the Villas are a small lush garden and a private sun-deck, and on the beach are sun-chairs free of charge. 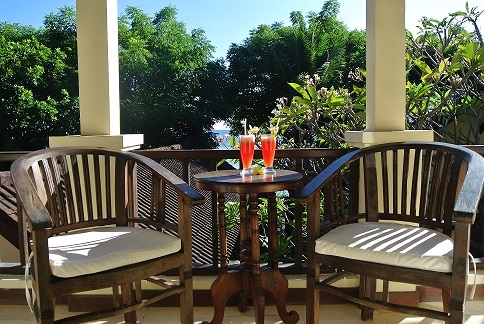 Behind the Villas there are 4 double-rooms for rent, and beside the Villas is a beach-front restaurant with well renowned local and western style food. The Pools at Tradisi and Diver’s Café can be used.